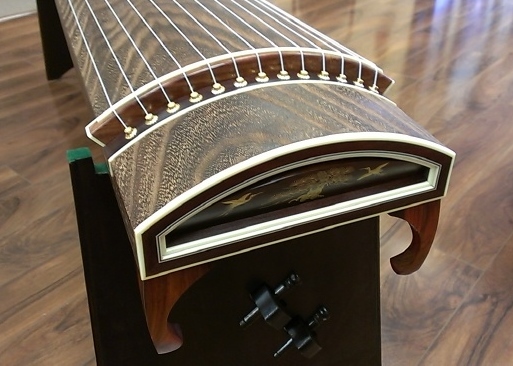 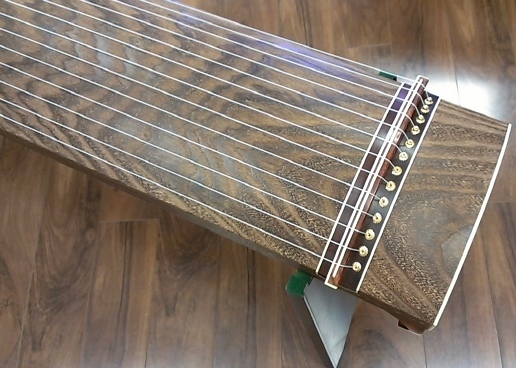 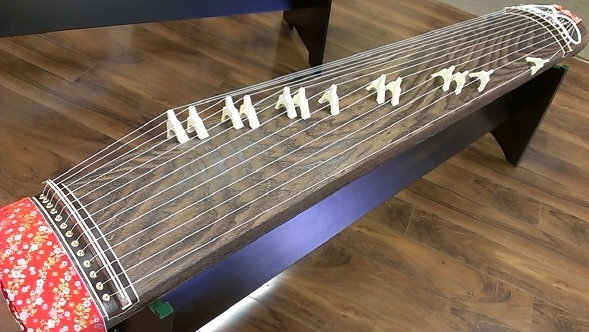 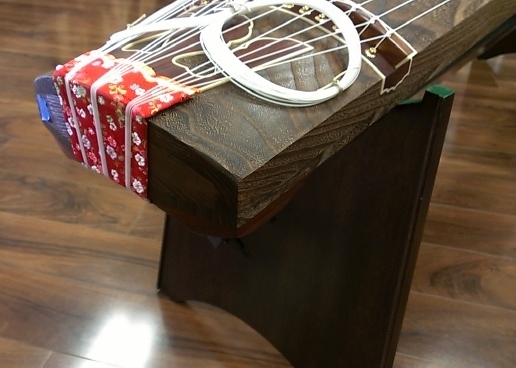 This is a concert koto instrument made from well-respected Japanese instrument maker Mishimaya. 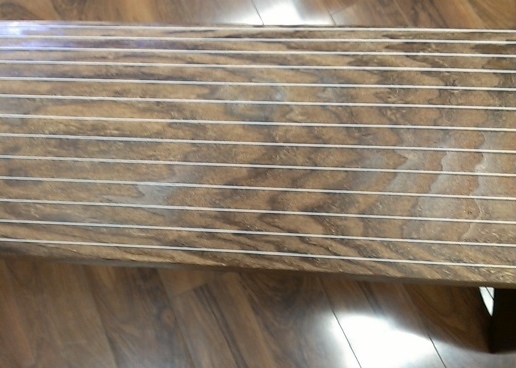 The whole wood piece is carved out from paulownia body with detail craftmanship and elegant decoration using Indian rosewood wood. 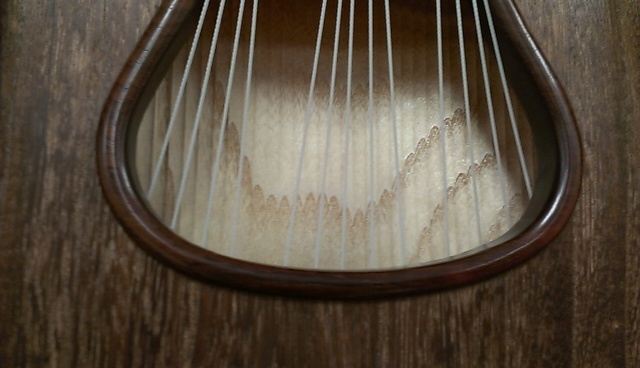 Please take a look at the nice wood grains of the soundboard. 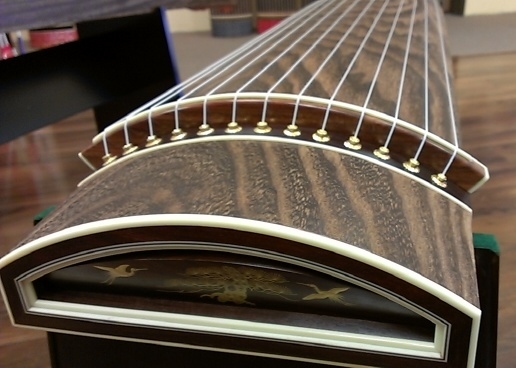 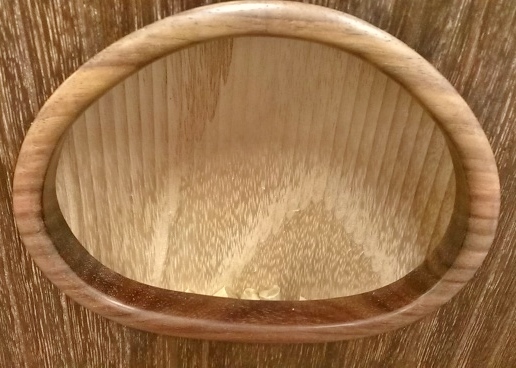 There are hand carved sound grooves underneath the soundboard to enhance the sound quality. 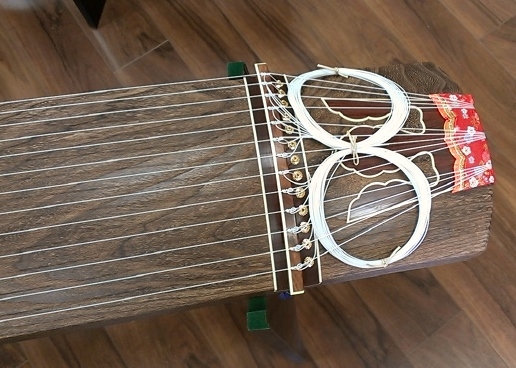 (see the picture below) The strings are strung tight and ready for set up.